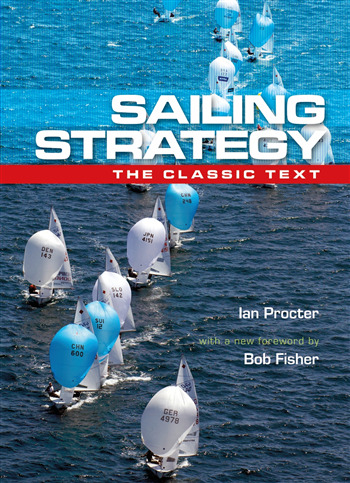 Sailing Strategy is considered a racing classic. Long out of print, it has champions who have been petitioning hard for its reissue. It is considered the best book ever written on the subject, and presents in detail techniques which are still completely relevant and applicable today. The author provides a very thorough analysis and explanation of how to read the wind and currents in all conditions on a racecourse, and explains how a good knowledge and understanding of their vagaries by the racer can be used advantageously to enhance boat performance on the racecourse, and carry both helm and crew further up the fleet. For any racer wanting an ‘edge' (as any competitive sailor will always be aiming for) the reissue of this long out of print gem will be a godsend. A modern classic and an ideal companion to the recently reissued Start to Win, Sailing Strategy also has a new Foreword by Bob Fisher, Yachting Correspondent for The Guardian, and columnist for Yachts and Yachting. The reissue of this classic will be welcomed by novice and experienced racers alike.